How much did the original SS sell? Just north of 300K right? Seems really optimistic to get 200K, but maybe the new owners will get it? I thought it was north of 200k? There is no way they're reaching that 200K number. Famitsu top100 2013 list has it at 190.000 units. Still, Vita's userbase is like 2x what it was on March 2013 so I think there is room for some improvement. Are you guys not counting the double pack? 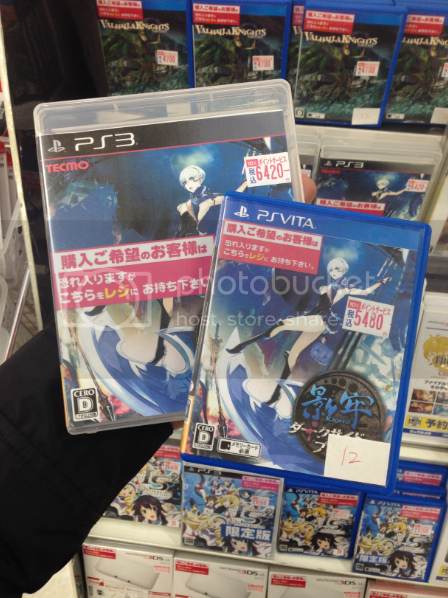 Double packs + PSN downloads (7th best selling PSN game of 2013) + budget release (October 10th). Sony most likely have shipped >250k. But Delta is not going to do 200k. 120k is for Ar nosurge. 200k for Soul Sacrifice Delta. I should know 120k sounded too reasonable to be true. 100k is the regular and 20k the limited edition for Ar Nosurge. By the way, how does usually "G" version of popular hunting action game performs? I presume they'll be lower than the original release but by how much? 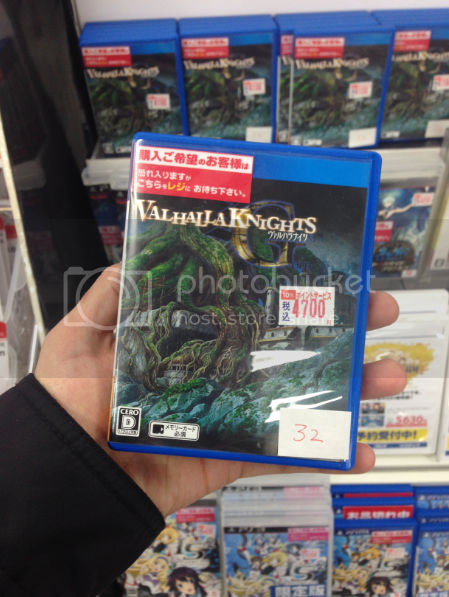 Valhalla Knights and Phantasy Star aren't in the same genre, but they market themselves similarly. dont think mh 3 - mh 3u is comparable in there you've got the console release followed by the handheld release of a handheld centric series and even then your missing 220k of mh3u sales from the wiiu. Wasn't sure whether to add the Wii U sales or not, honestly, since HD version came out later and adds online play. And, yeah, 3G is a different case because of the systems. The original G was also a weird case because it hadn't been ported to handheld until later. 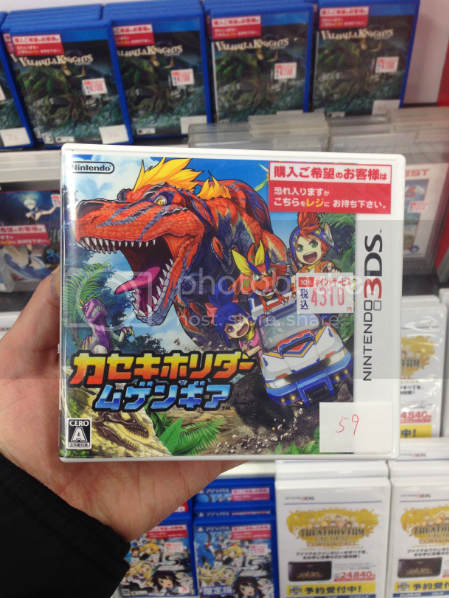 I think that it helps if people look Monster Hunter's sales and see that the imitators don't perform similarly. I seem to recall a fair few comments when Soul Sacrifice came out that didn't understand that, things like "it's performing like Monster Hunter 1, why can't it take off too?" Searching for other launches Comgnet weekly sales right now for comparisons. 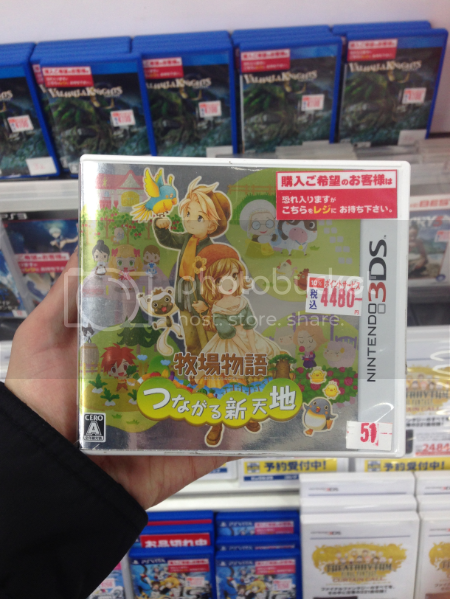 New World didn't sell out ONCE on Amazon or Yodobashi. We are probably looking at a big shipment. Imagine a Harvest Moon game selling 100k first week, wooo. While SS is a popular genre in Japan (boss-fighting coop game) and quite fun if you like it, the gloomy theme and setting won't help to push to the major blockbuster. It did get some fans so Delta should do decent numbers, but not as much as original did IMO. Wouldn't it be a small shipment, since they had it at 150k LTD? SS Delta comes with an early access demo for Freedom Wars. Now thats a title with market appeal. It depends when he posted it. If it was before he gets the preview for last week it's speculation, if it was after it will be very close to reality. He's done it before with W101 first week sales. Less than 50k? No, I can't accept it. That would be a way too low shipment...why? Ok that some people here said PS4 could be found, but still, this would be such a low second week shipment that...it's due to shipping more in the West? It means it'll have a Vita-esque drop from first to second week. However, as said by Chris, it would be better to know when he posted it. Maybe he deleted that past because it wasn't accurate, or because it was...way too accurate, let's say this. Do you remember when he posted it? We should also see when he posted the W101 preview back last year, for an accurate comparison. 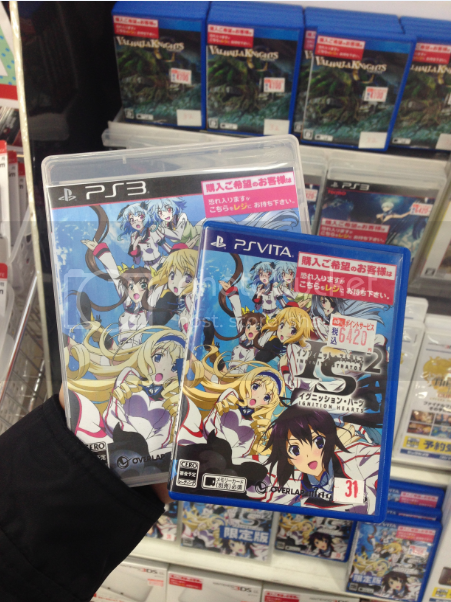 Hmm I wonder why Sony gave Japan such a low shipment for second week? Its not like NA and EU are getting more PS4's its still out of stock everywhere. 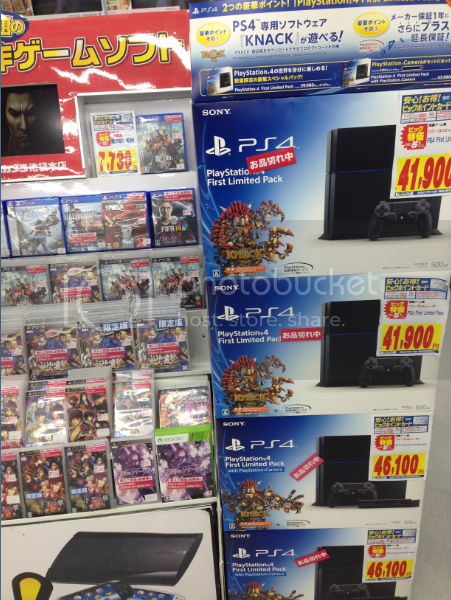 Hmm I wonder why Sony gave Japan such a low shipment for second week? Its not NA and EU are getting more PS4's its still out of stock everywhere. As pessimistic as I am about PS4 in Japan in general, I think it's doing well enough in the west right now that it's selling out it's shipments, and that's why it's not on store shelves...TBH I haven't really been following though, is there any reason to beleive that there aren't plentiful shipments to the west, that are just being sold out? Wii was out for stock for too many months. This didn't mean it wasn't getting continued and big shipments. I'm guessing around 40k PS4 software sales this week, which (if we used last weeks attach ration) would give something like 60k PS4 sales. Don't know shipments numbers. Sorry for not being here this past week. I'm really busy at the moment and I don't have time for almost anything. Fortunately, monday I have free day so I did my report. 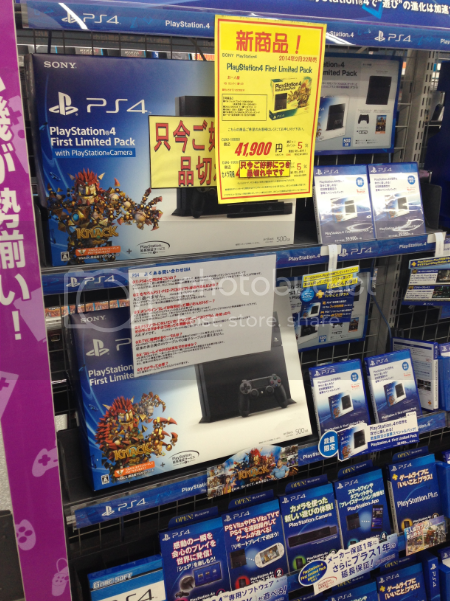 PS4 is completely sold out in Bic Camera in Ikebukuro. In Yamada Denki only the standard pack is available. Thanks for the number! I didn't know that MH game actually did better with their G version, and the numbers is pretty close too for popular hunting action game. I guess 120k for SS Delta is pretty reasonable eh? Also 4 millions for MH4G is pretty conservative estimate either then? That would be a major collapse. 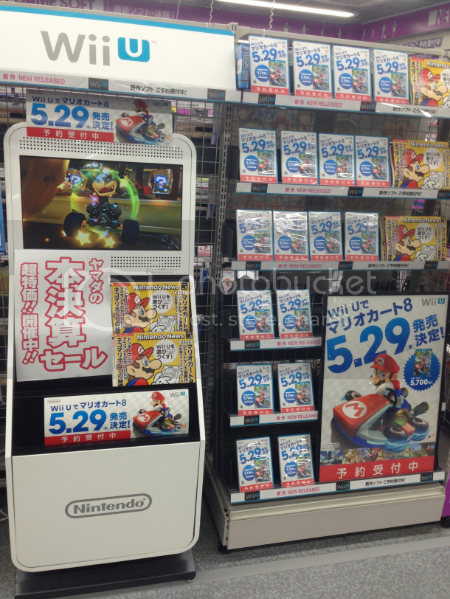 Isn't it a bit early to advertise MK8 in stores? Have you seen any promotional material for Just Dance Wii U? No no, this is great. It's essentially a lynchpin title for them this year. Any info regarding Yaiba: Ninja Gaiden Z's release? It's coming out in Japan in a few days. They want visibility. 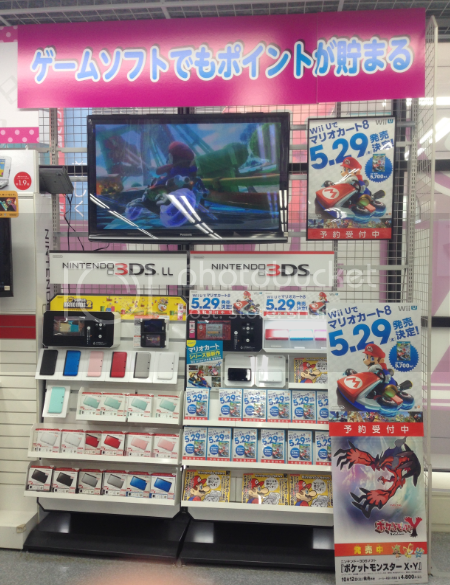 They aren't going to get it by advertising the game solely in the Wii U section. It'll perform poorly in Japan, as Ninja Gaiden isn't a big series. Well, no one's going to the Wii U section! Have you seen any promotional material for &#8220;Just Dance Wii U&#8221;? They had better start early. Mario Kart 8 really is the true "do or die" time for the Wii U. Nintendo needs that game to sell Wii U systems and for Wii U owners in general to buy it. The need a massive attach ratio with the game. In order to even make that possible they need to be advertising now and constantly until the game is released. 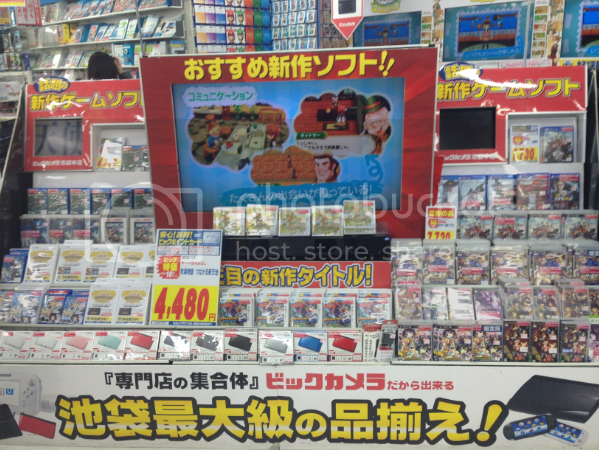 Here's hoping they start pushing kiosk like this in North America and Europe. Even if it's video on a constant loop that would be helpful. It brings people's attention to a game that sold extremely well and that they've likely played before. It's a huge jump graphically for the franchise which in turn makes it clear the Wii U is a powerful system. Far better then the Wii and at least comparable, if only artistically, to the other newer systems on the market. It's a graphical showcase for the system and a showcase for their online as well I believe. It's the only game really, outside of Bayonetta 2 and X that could be showcased like that and not make the Wii U appear (due to art style and really playing to the system's strengths) underpowered by comparison. They need to push the hell out of it. I'll be laughing if some people think the game is for 3DS because of that. There's nothing for Just Dance yet (only in a Nintendo's brochure). Usually, Nintendo games adverts starts just a few weeks before the release. So yes, it's a bit early. Not common. I guess is the only thing Nintendo can do at the moment. In fact, there were two stands for Mario Kart 8. The other one was in the Wii U section. So, don't be afraid. First week SSDelta,80k- Is this too low? Could be worse if they're selling machines without Knack bundled. Again? The future of Wii U is written on the wall and nothing can change it. Maybe it really is to late. I'm not dismissing that. However I don't believe I've ever accepted the blackboard image with different titles list as being possible saviors for the Wii U. Mario Kart (after Wii and 7) realistically has always been the only title that could potentially (doesn't mean it will) turn things around for them. Or at the very least improve things significantly so at the very end it does on par with the Cube or better instead of below it. It's the one game series that hits all the right notes for a diverse group of customers I believe. It could be the difference between them riding out the Wii U with new games vs letting it fade away while they completely focus attention and money elsewhere over the next few years. Yeah, that's kind of what I was getting at. But there should be at least anecdotal signs that shipments are coming in. Like is there any sign of them coming on and off Amazon often for example? If so, then all the stock is probably going to the west. I think Sony knows where its priorities lie this generation. Lol. When are you guys going to stop this and just accept that the WiiU has failed. MK and Smash didn't stop GC from selling horribly, I have no doubt the same thing will happen with WiiU. Not really. Its depends on the sell through number. If it sold 60k and is completely sold out then its clear thats its constrained by supply. Finally, Media Create also noted that PlayStation 4 mainly attracted university students on their Spring break at launch. Initial buyers of the console at launch were relatively younger than those of other PlayStation systems. Does this mean anything for the upcoming sales data in a few days? I'm guessing no, right? I'd like to see it compared to Wii U launch. If demographics are shifting, I don't much care for the average age turnout of a console launched over 7 years ago that was severely supply constrained. I suspect there's a difference in the mobile vs console demographic too that would somewhat invalidate directly comparing to Vita performance. they made another Sakigake!! 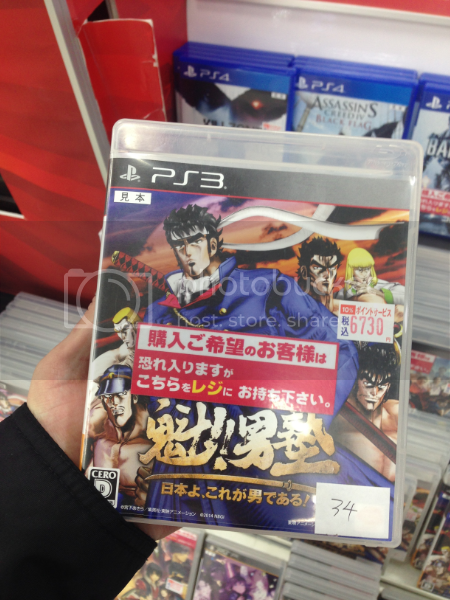 Otokojuku game? nice! The Wii U is dead dead dead. I am not saying that because I want Nintendo to die and fail, I'm saying that because it's true. I would even argue that it's in Nintendo fan's favor to accept this: denying failure for as long as possible only delays one's ability to learn from mistakes. If I were a Nintendo fan, I'd want to figure out what went wrong as quickly as completely as possible so that the mistakes weren't made again, rather than pushing off any reflection until as late as possible because I don't want to admit the system has failed.